Donatello is a Brighton institution, everyone has been there at one time or another. 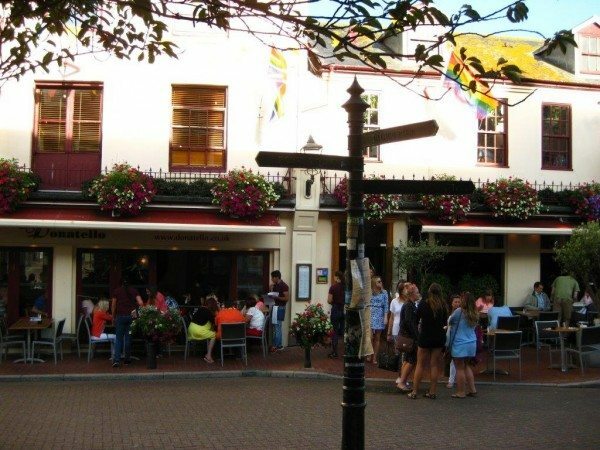 It was opened in 1991 by Sardinian-born Pietro Addis following the success of his first restaurant Pinocchio, which is also in Brighton, a stone’s throw from the Theatre Royal. 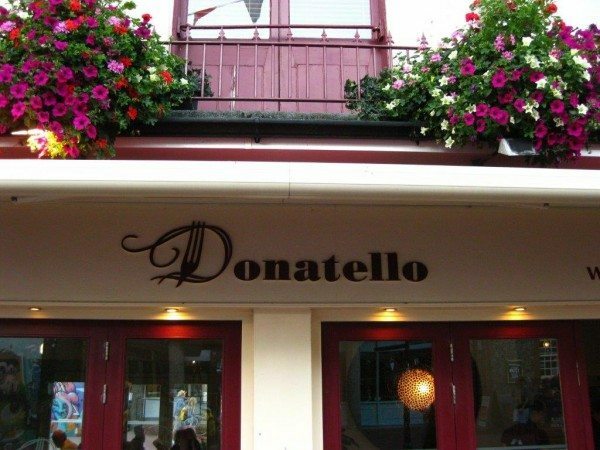 Donatello, now run by Pietro’s three sons, has more than stood the test of time, it is thriving. 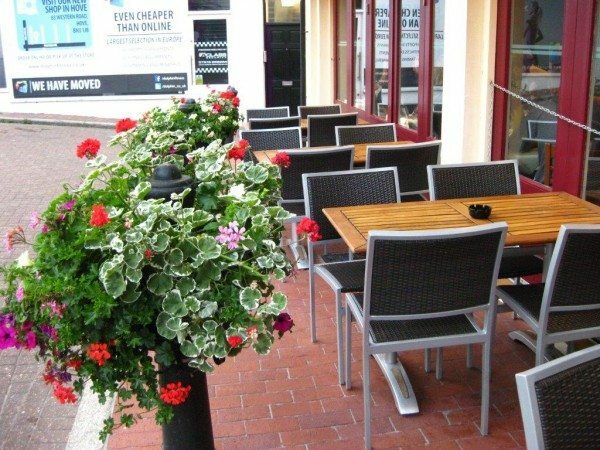 It is a testament to its success that it has, over the years, expanded from a modest 100 seat restaurant to a bustling 400 seat restaurant with a further 50 seats outside where you can enjoy alfresco dining when the weather is warm enough. 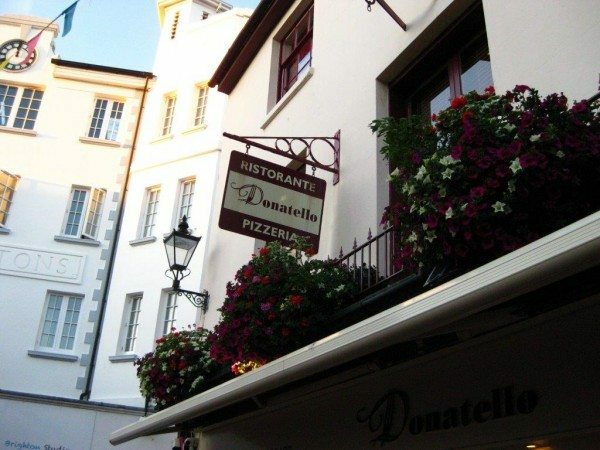 It is located in a sweet little pedestrianised square in the middle of the iconic Lanes and is a proper old fashioned Italian restaurant, the sort of place I remember being taken as a kid. 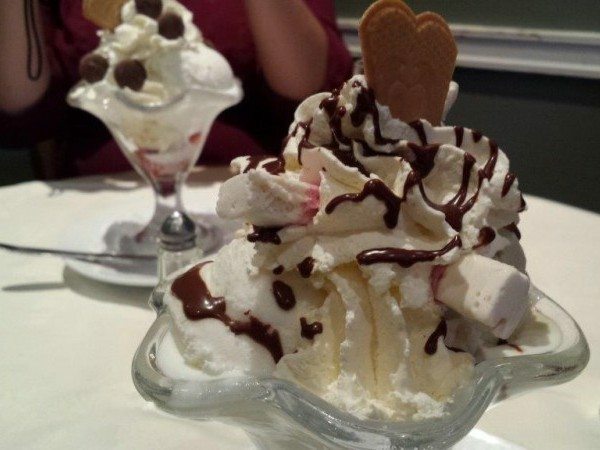 There’s a great atmosphere with the exuberant and vocal Italian waiters running up the stairs three at a time, carrying several plates fanned out in one hand and balancing an ice cream sundae in the other. It is always busy and its enduring appeal is down, in no small part, to its affordability. 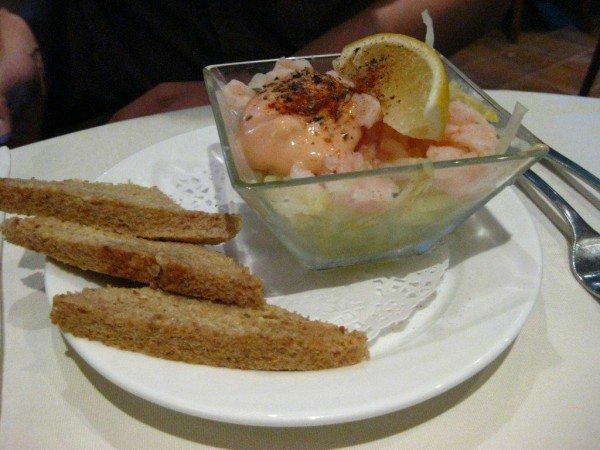 Their standard 3 course menu will set you back just £10.95 (you can have 2 courses for £8.95). Not surprisingly it is very popular with students and locals and is a great venue for larger parties like stag and hen do’s. The night we went we walked passed some poor hapless groom dressed as a smurf. The service is efficient and there is an energetic buzz to the place with waiters sliding down the banisters and a general hubbub of lively conversation. It is clean and well laid out, given how many tables there are, and there are beautiful, well-tended, mature plants throughout. The evening we went there was a real party atmosphere in Brighton as throngs of happy, madly-dressed revellers had arrived to celebrate Pride. The mood was infectious so we decided to get into the spirit of things with a bottle of their light, fruity Prosecco Frizante Corda, perfect for a warm summer’s eve. Andrew went for the three course menu but I went for the a la carte menu because I had to be awkward and have a starter that wasn’t included. Andrew started with a prawn cocktail, the old classic. A glass bowl filled with sweet, chilled, baby prawns, on crunchy, shredded fresh lettuce, smothered in tangy thousand island dressing. It was decorated with a pinch of paprika and a slice of lemon and came with little triangles of buttered, sliced bread. In other words, exactly what you’d expect and a lovely, simple, light starter. 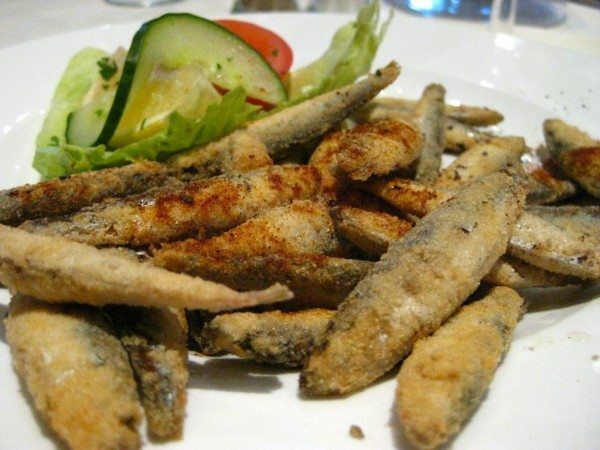 I had Bianchetti alla Diavola – deep fried whitebait with paprika, one of my firm favourites and the reason I’d deviated from the set menu. Delightful little salty, oily fish in a well-seasoned, crunchy semolina coating, with a sprinkling of spicy paprika and a lemon wedge. Very moreish! 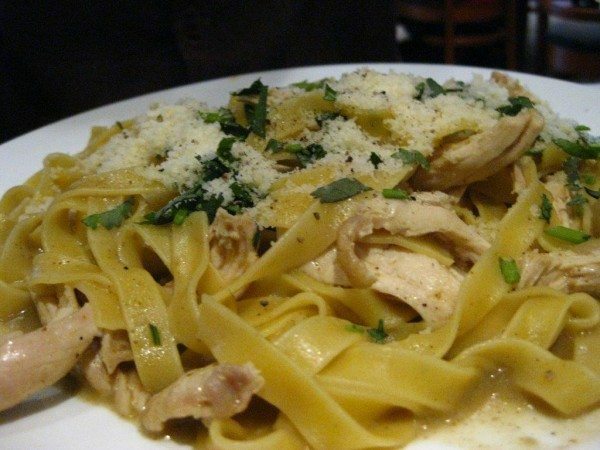 For his main Andrew ordered the Tagliatelle pollo picante which was tagliatelle and moist chicken pieces tossed in a subtle, creamy, curry flavoured sauce. It was fragrant rather than spicy and topped with plenty of fresh coriander. Clearly an attempt to combine two national favourites, Indian and Italian, it didn’t quite do either justice but it was tasty enough covered with a generous amount of grated parmesan and a good twist of pepper. I went for the American hot pizza. 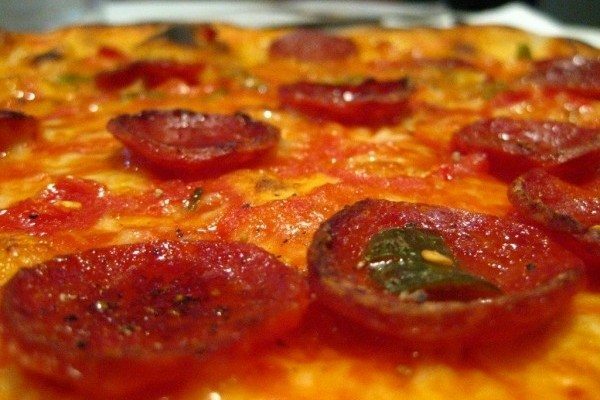 A thin and crispy Italian pizza with an intense, rich tomato sauce, little slices of salty, spicy sausage, mozzarella and a subtle kick of heat from chillies. The toppings seemed a little sparse but it still tasted lovely. We decided to push the boat out and get ice cream sundaes for dessert for a £1.50 surcharge. Andrew had the Coppa Milo, which combined slices of banana and strawberries with a scoop each of smooth, rich, chocolate and soft, white, vanilla ice cream, a mountain of squirty whipped cream, chocolate buttons and a crispy wafer to create every big kids idea of dessert heaven. What’s not to like? I had a Coppa maxi with a scoop each of vanilla and pistachio ice cream, whipped cream, chocolate sauce and great hunks of chewy nougat. It was sweet, nutty and shamefully sinful. Yum! 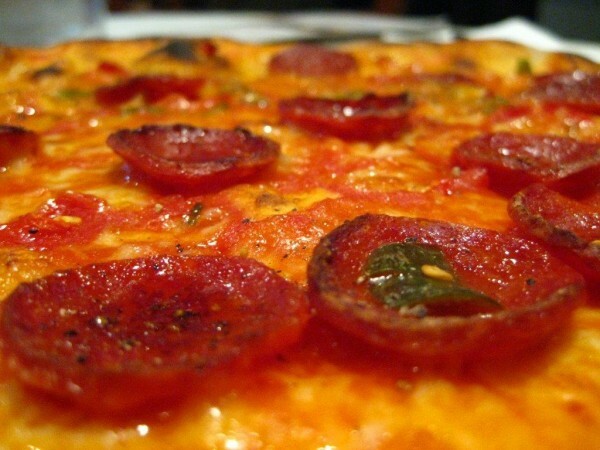 Donatello is open 11:30am-11:30pm seven days a week.